The Studio used to be the work space for a resident potter. It was recently remodeled and partitioned into three single rooms. 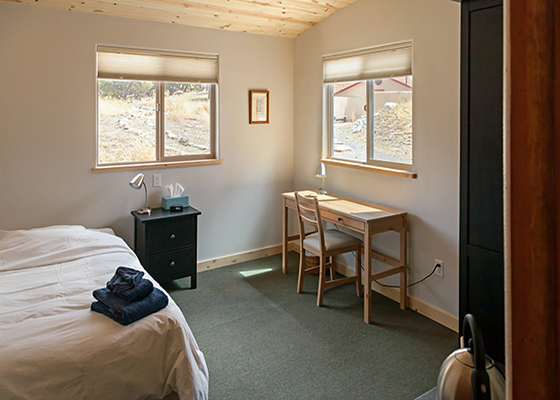 Each room has a view of the local 14ers, Kit Carson and Challenger Peak. 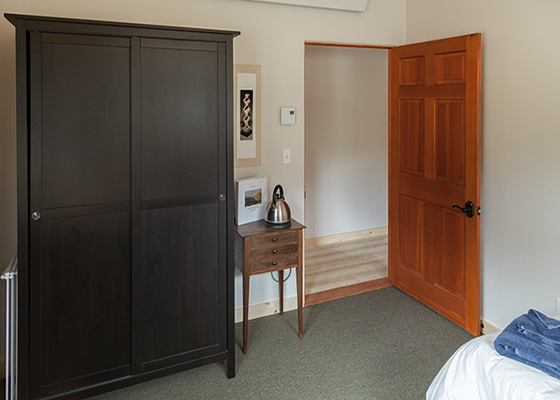 The Studio rooms are furnished with a desk, wardrobe and tea station. Shared bathrooms are 100 yards away in the Guest House. Upon request the room can be shared, in which case the desk will be replaced with a second bed.